This is a Consumer Alert: If you have purchased any of the listed products from Zicam, you may be a part of this Zicam Cold Remedy Settlement. The makers of Zicam over-the-counter cold medicine products have agreed to end a $16 Million class action lawsuit. 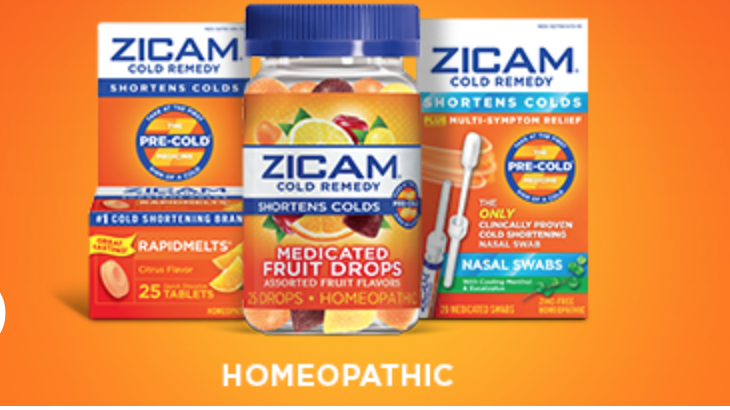 The Zicam Cold Remedy Settlement alleges that certain types cold remedies produced by Zicam LLC and Matrixx Initiatives Inc. were falsely advertised. Specifically, the plaintiff alleges that the companies diluted the active ingredient in the OTC medicine that promised to make colds go away sooner. We have no idea if what the plaintiff alleges is true but you can take advantage of the settlement today. If you purchased any of these products between Feb. 15, 2011 through June 5, 2018, you may be entitled to reimbursement for up to five items without a receipt. You can receive up to $11.53 per item purchased, up to five products (without proof of purchase). If you can provide proof of purchase you can claim more than five products. You can claim full price on the products if you have receipts. You can file online or you can print the form and mail it. The claim form must be received no later than 10/3/2018. PLEASE NOTE: As always, if you do not qualify for this settlement do NOT file a claim. You can also grab a $2.00 Zicam Coupon as well. Check out our other Money Saving Deals.